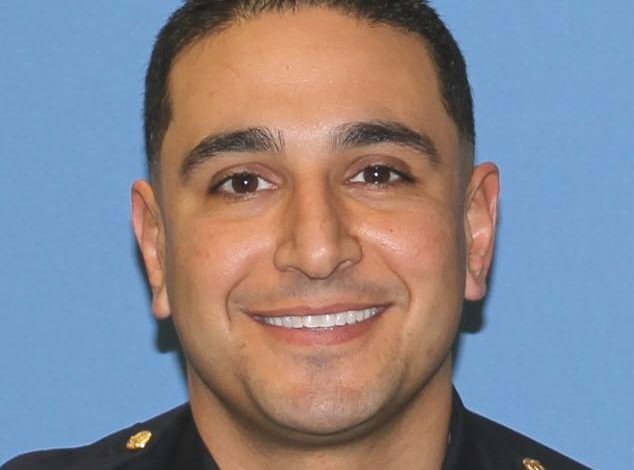 SUFFOLK COUNTY, NY— The Suffolk County Police Department is mourning the loss of officer Fadi Rafeh, who died unexpectedly January 20. Officer Rafeh took the oath of the academy in June 2010 and served the residents of the Fifth Precinct his entire career. He worked first in patrol, primarily in Patchogue and Bellport, and then as an investigator in the crime section as of October 2017. He also served as an Arabic translator. According to colleagues in the Fifth Precinct, Rafeh, a 1999 graduate of Longwood High School, was never without a smile on his face and was always looking for ways to build camaraderie among the officers. Several recounted his efforts organizing group trips to baseball and football games. In November, when a group from the precinct planned a football trip to Charlotte, North Carolina and found out Rafeh could not go, Officer Patrick Ryan said Rafeh was so well-regarded by his friends and colleagues that they all instantly changed their trip to another weekend so he could attend. Rafeh, 38, is survived by his wife, Jennifer, and two sons, Nicholas, 5, and Benjamin, 3. Previous article False ‘victories’: Is the PA using the ‘State of Palestine’ to remain in power?